In a press release today put out by Ysbryd Games they announced that their 2016 title, Masquerada: Songs and Shadows, will be finding it’s way to Nintendo Switch in the near future. 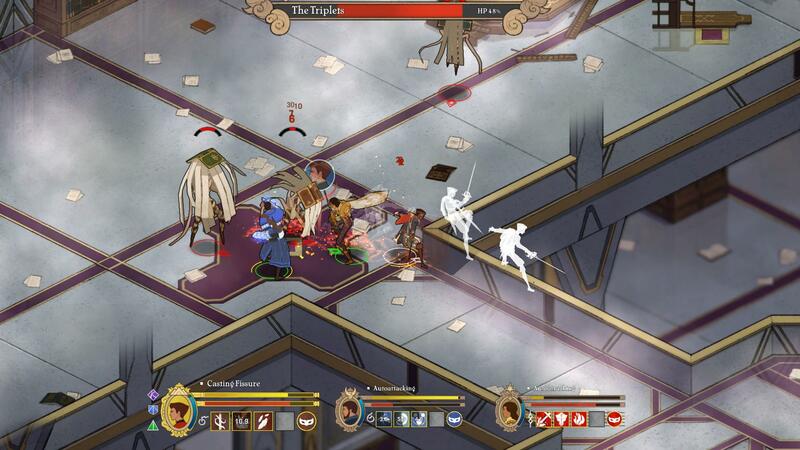 Published by the aforementioned publisher and developed by Witching Hour Studios, Masquerada: Songs and Shadows is a RPG influences by the isometric classics, featuring real-time combat with tactical pause. It takes place in a world very much inspired by Renaissance-era Venice and the story revolves around elusive masks that grant the wearer magical powers, the forces who fight over them, and the society this fosters. Masquerada: Songs and Shadows was successfully funded through Kickstarter,raising £60,162 ($78,787.55 USD) and managed to acquire some serious big names in the world of voice acting. Such names as Matt Mercer and Jennifer Hale. Veterans of video game voice acting. SINGAPORE – April 15, 2019 –Masquerada: Songs and Shadows, the tactical RPG from Ysbryd Games and Witching Hour Studios featuring the voice talents of Matt Mercer, Felicia Day, Jennifer Hale, Dave Fennoy, and Ashly Burch, is coming to Nintendo Switch May 9. Masquerada: Songs and Shadows is available now on PlayStation 4, Xbox One, Windows and Mac for $19.99 andcan be played in English, French, German, Russian, Brazilian Portuguese, and Turkish languages. It will be available on Nintendo Switch for the same price. For more information, please visit theofficial website or follow @YsbrydGames and @MasqueradaGame on Twitter.